Matthew Kokkonen of CSL Behring is one of many distinguished speakers featured at Q1’s 2nd Annual Pharmaceutical Portfolio Strategy & Management Conference taking place this May. He provided Q1 the opportunity to preview his upcoming masterclass, “Leverage of Data Analytics for Strategic Portfolio Decision Making.” See what he has to say about data analytics below. I am the Director of Global Portfolio and Governance. In this role, it’s my responsibility to establish enterprise standards and portfolio service offerings to portfolios globally across all functions. Can you give a quick summary of the presentation? Can you please share a quick example on how to balance data against human intuition? Often people rush to the “what” and “how”; instead it’s important to ask “why.” People, especially in the U.S., are action oriented, but sometimes, in haste, they forget to challenge their assumptions, understand root cause, and act accordingly. Instead of asking what the data says, strive to understand why the data says what it says. Data analytics is a journey. The inquiry needs to tell a story, and pictures tell the best stories. Data doesn’t give “the answer.” It gives an answer that can be used to defend a decision. 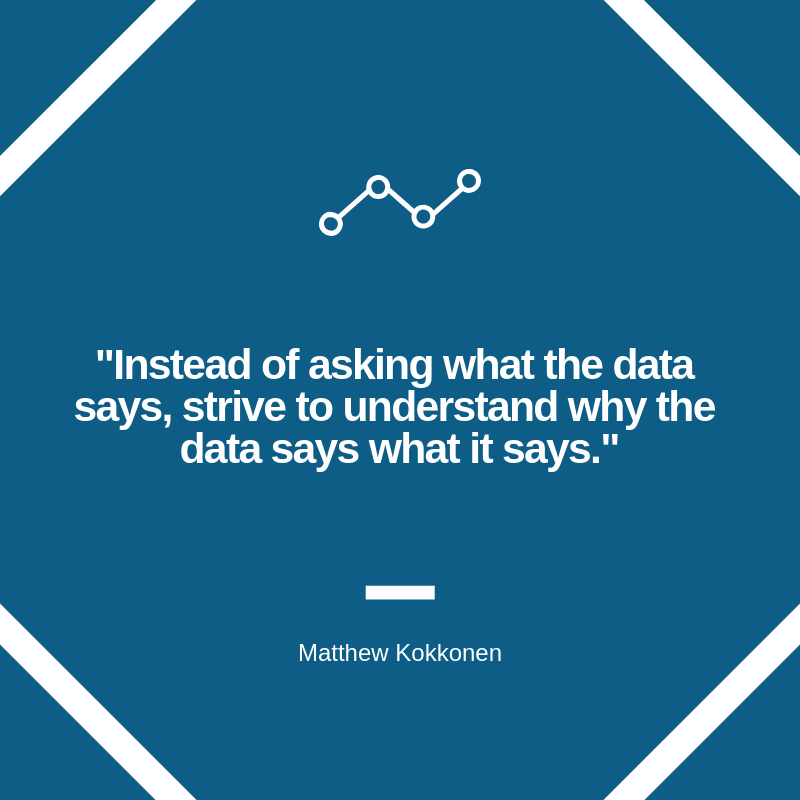 For more of Matthew Kokkonen’s insight into data analytics save your spot for Q1’s upcoming portfolio strategy conference.